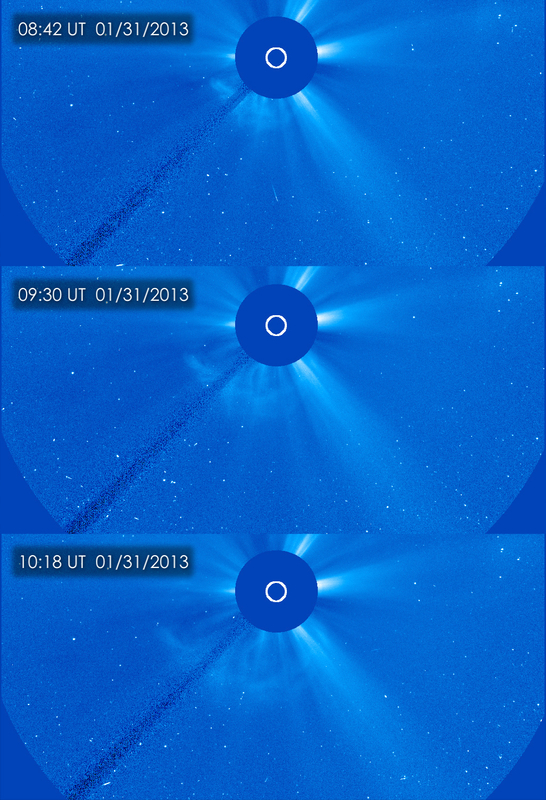 On Jan. 31, 2013 at 2:09am EST, the sun erupted with an Earth-directed coronal mass ejection or CME. 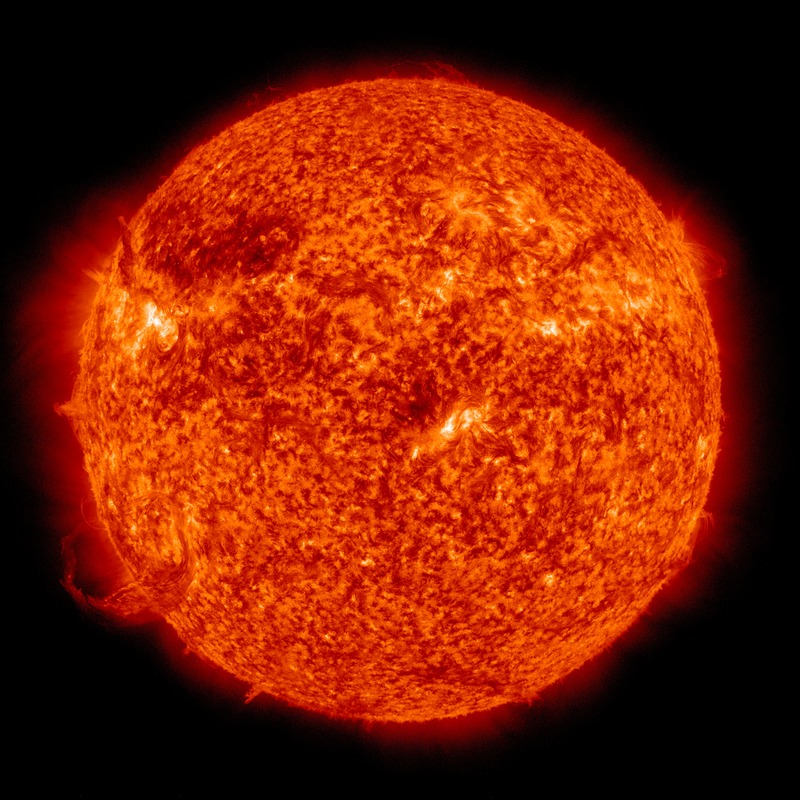 Experimental NASA research models, based on observations from the Solar Terrestrial Relations Observatory (STEREO) and ESA/NASA's Solar and Heliospheric Observatory, show that the CME left the sun at speeds of around 575 miles per second, which is a fairly typical speed for CMEs. Historically, CMEs at this speed are mild. The CME included a large prominence eruption most visible in light with a wavelength of 304 angstroms. 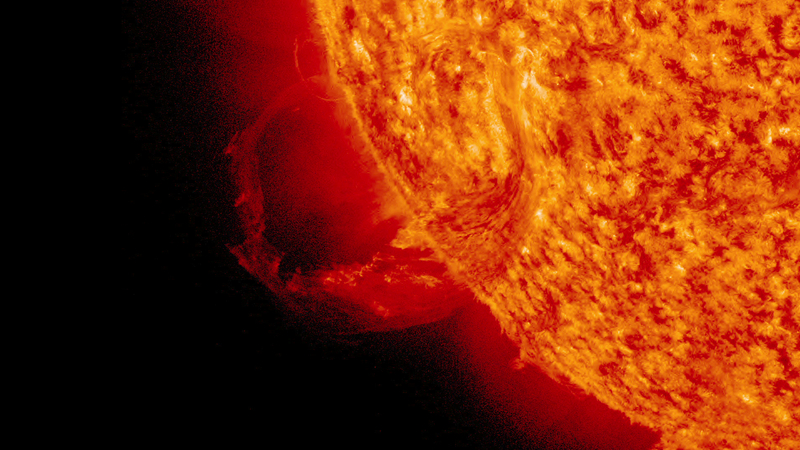 SDO captured this footage from 3:00 to 9:00 Universal Time. In this video, the imaging cadence is one frame every 36 seconds. The Solar and Heliospheric Observatory (SOHO) captured these image of a coronal mass ejection (CME), erupting on the left side of the sun early in the morning of Jan 31, 2013, as it was moving away from the sun into space. 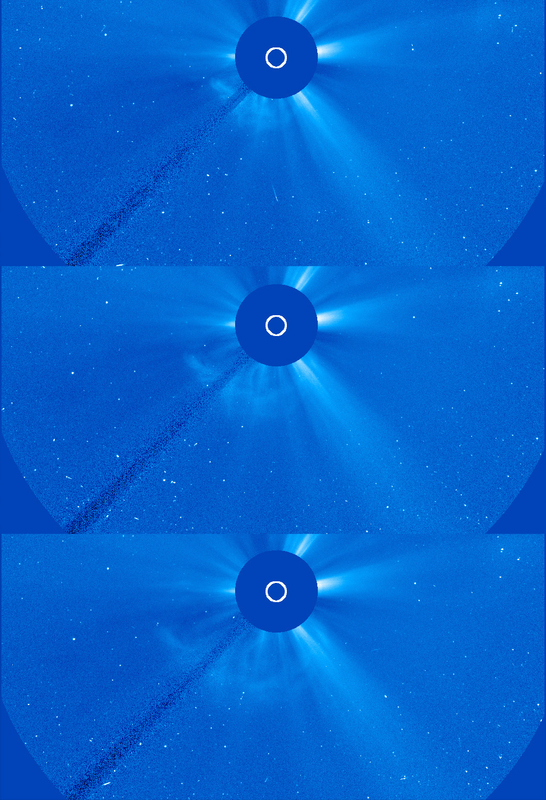 These images from SOHO are called coronagraphs, in which the bright light of the sun is blocked in order to make the dimmer structures in the sun's atmosphere, or corona, visible. The Solar and Heliospheric Observatory (SOHO) captured these image of a coronal mass ejection (CME), erupting on the left side of the sun early in the morning of Jan 31, 2013, as it was moving away from the sun into space. These images from SOHO are called coronagraphs, in which the bright light of the sun is blocked in order to make the dimmer structures in the sun's atmosphere, or corona, visible. No Labels. 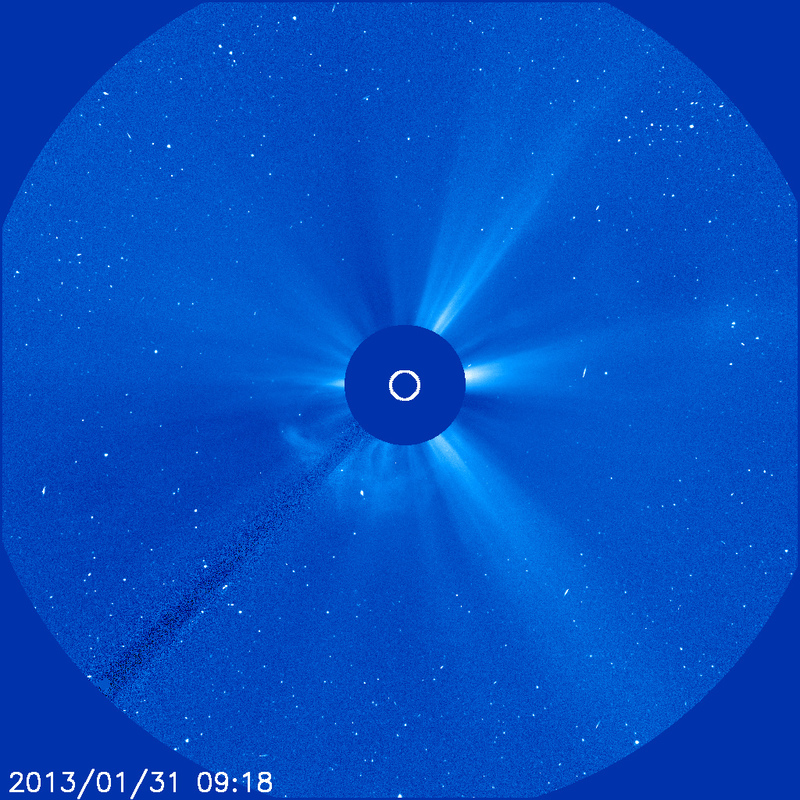 SOHO LASCO C3 image of CME. Solar Dynamics Observatory AIA instrument imagery at 304 angstrom wavelength. This group contains a 4096x4096 pixel Apple ProRes video, and 4096x4096 frames.